keeping the facilities that ensure communication is possible, even more so. There are two main security considerations when profiling risk for an application of any type; does the building itself hold any scientific, historic or artistic value, and do the contents inside require specified standards of physical security. 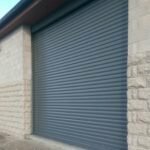 Some applications have an even split, some require more allowances on architectural aesthetic but there are only a handful of applications that necessitate that highest standard security solutions available. These sites are identified by the Centre for the Protection of National Infrastructure (CPNI) as critical infrastructure for the ongoing functionality of the country, and with only thirteen sectors within this grouping, communications are one of the most vital. From a Government point of view, a sector identified at Critical National Infrastructure (CNI), communication is incredibly important because if the lines of communication are tampered with, vital information can be misconstrued. More than just telephone wires or neighbourhood power grids, securing the communication sector is about ensuring critical property is protected against unauthorised access. As more services become completely automated and run by Artificial Intelligence (AI), the internet and cloud-based systems have suddenly become a crucial element of everyday life – from Oyster payments to smart home controls to interactive gaming, technology is such a large element of modern society. The reliance on electricity poses a set of vulnerabilities the previously didn’t exist, for example restricted access points that require bio-metric screening will need a continuous power source, back-up generators, and secondary override features are all elements that will need security measures implemented. International relations are currently somewhat stable but how dramatically Brexit will affect this going forward is still unclear. Secure communications will be of a top priority in years ahead. The tremulous notion of a Hard-Brexit may weaken our international relations, a particularly awful thought when most of the UK energy, transport and other services are owned by foreign institutions. Ensuring communications are established going forward will be a priority. Espionage and sabotage are the most relevant threats to communications facilities, on both a physical and wireless network level. Sabotaged comms could send out incorrect messages, causing disruption across the globe, and sensitive information could be leaked. Public communication is the biggest consideration here, a fact recognised by the Government in 2017 following the National Security Capability Review, the subsequent result being a significant expansion of National Security Communications Unit (NSCU). News outlet and media sources are an enormous platform from which narratives can be manipulated and used against the public. Communications is unique sector for it is a service-based infrastructure that heavily relies on external elements for its service delivery. Further dependence on technology for facial, iris, number plate recognition for secured entrances, such as car parks, presents a risk of tampering and ultimately providing access to unauthorised intruders. Applications within the communications sector includes telecommunication centres which are run on electricity and therefore must have power. The Energy sector is also identified as CNI, therefore has similar threat profiles. Ultimately, for communications facilities to be secure, the related extremities first must be secured. It must be noted that communications work both ways; as much as we need to protect our own networks against intrusion, there are hundreds of thousands of dark-web networks that can be accessed (without permission) to predict and countermeasure attacks on our country. Real time communication is exhaustingly technical, but without going into minute detail, there are three main considerations to remember: authentication, credentials and channel. Countermeasures and offensive strategies covering all bases therefore come from individuals of the highest security levels. Beyond the threat of attack, physical security measures act as safeguards against communications’ site failure. For the opportunist intruders, or even and accidental bystander, a communications operations buildings and installations will be active sites of extreme high voltage, and therefore hazardous. Physical deterrents including perimeter fencing, reinforced doors, shutters, cabinets, cages and access covers can all be intelligently incorporated within the building to mitigate threat. As with all projects, Charter Global recommend early involvement to achieve the highest security standard possible. Offering several solutions for CNI projects, delaying security system design and integration doesn’t make securing a site impossible, however expenses will rise, and further structural alterations may have to be completed before even tailored solutions can be efficiently integrated. Please get in touch with our experienced team for further clarification of specified solutions.